These scales are the perfect mix of size, accuracy and simplicity. Weigh up to 2kg with an accuracy of 0.1 grams. A nano coating means the scale is water-resistant. If the scale gets wet it should continue to function. If they stop working after getting wet just give them and shake and let them dry out. They will start up again. Perfect for brewing on and placing on your drip tray to weigh your shots. Includes a silicone protective pad to help protect from water spillage and surface scratches, and a large protective cover that can also be used as a weighing tray. 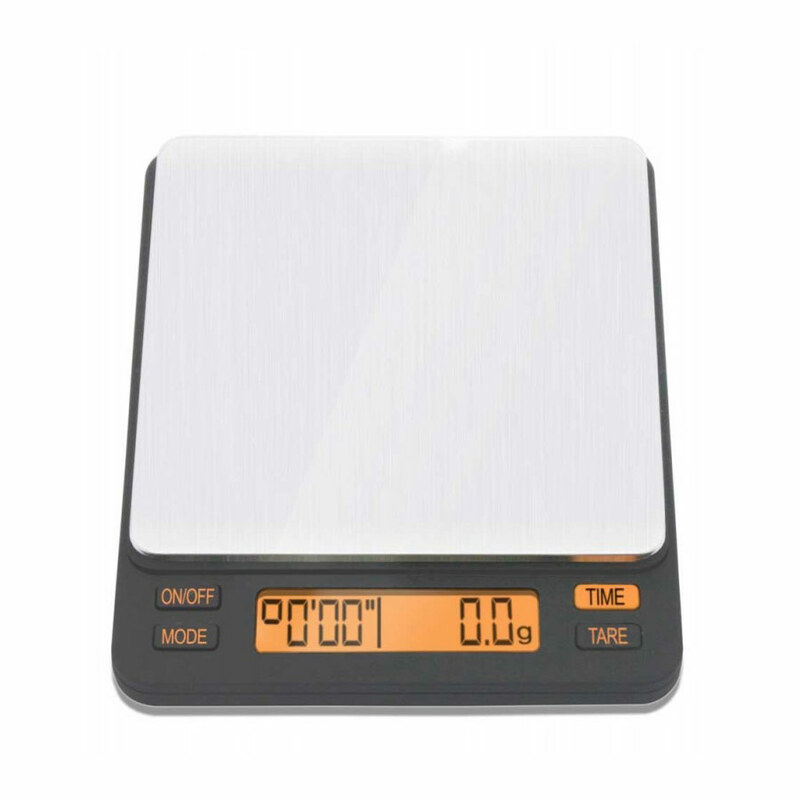 This new version of the scales incorporates a rechargeable battery (micro USB cable not included). It’s got six modes, tailored to fit the most common uses. The scale will display time and weight for 5 seconds after the cup or vessel has been removed.